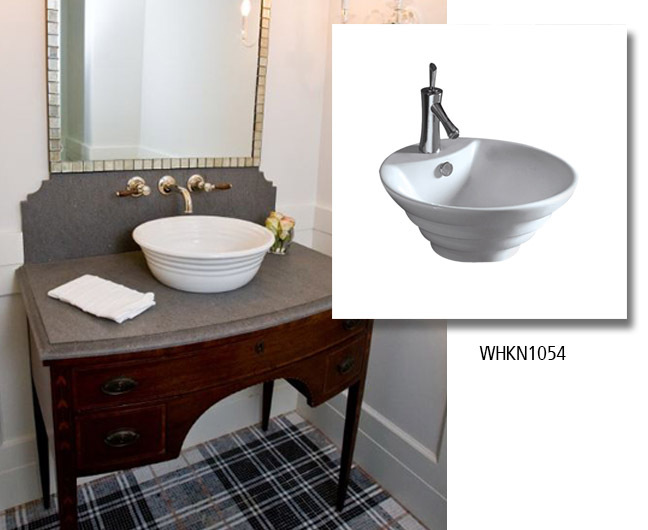 The vintage style is a trend that lives up to its name: its elements have kept the charm of past eras. 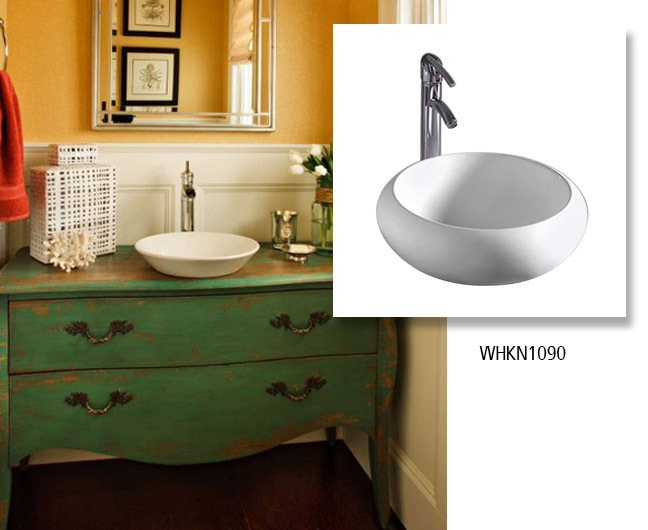 An innovative way of bringing that old feeling back is by re-purposing a vintage piece of furniture and converting it into a one of a kind vanity set up, perfectly tailored for a themed bathroom or one of a kind powder room. 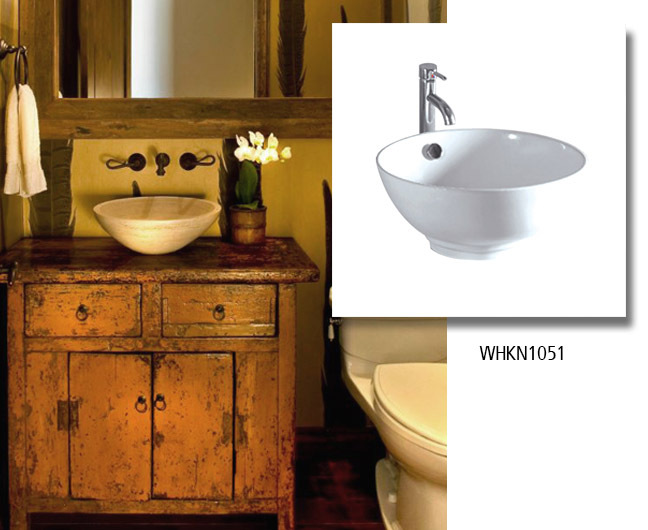 We have chosen a few different concepts and styles for your inspiration, and suggesting the perfect Whitehaus Collection basin to bring that vision to life! 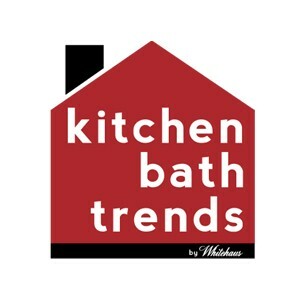 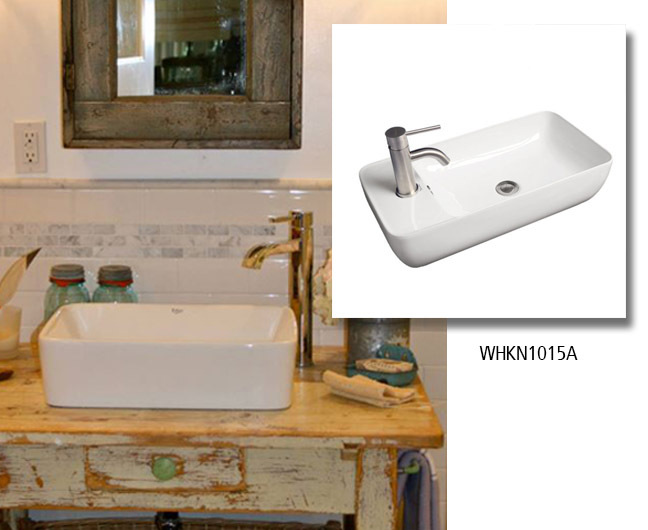 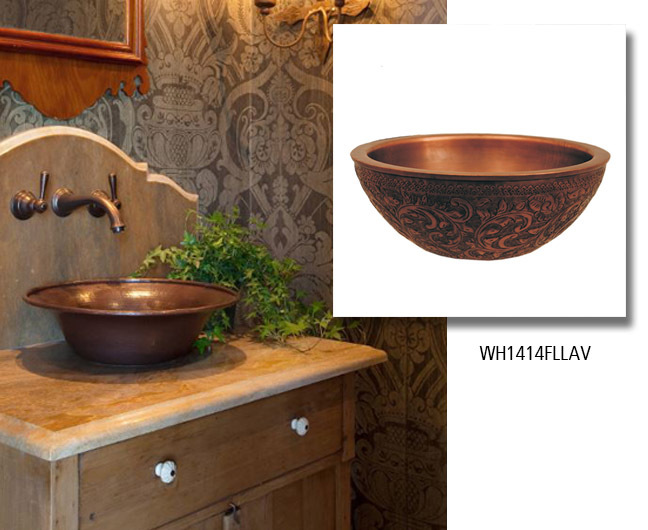 View Whitehaus Collection’s lines of bath sinks, faucets and accessories.